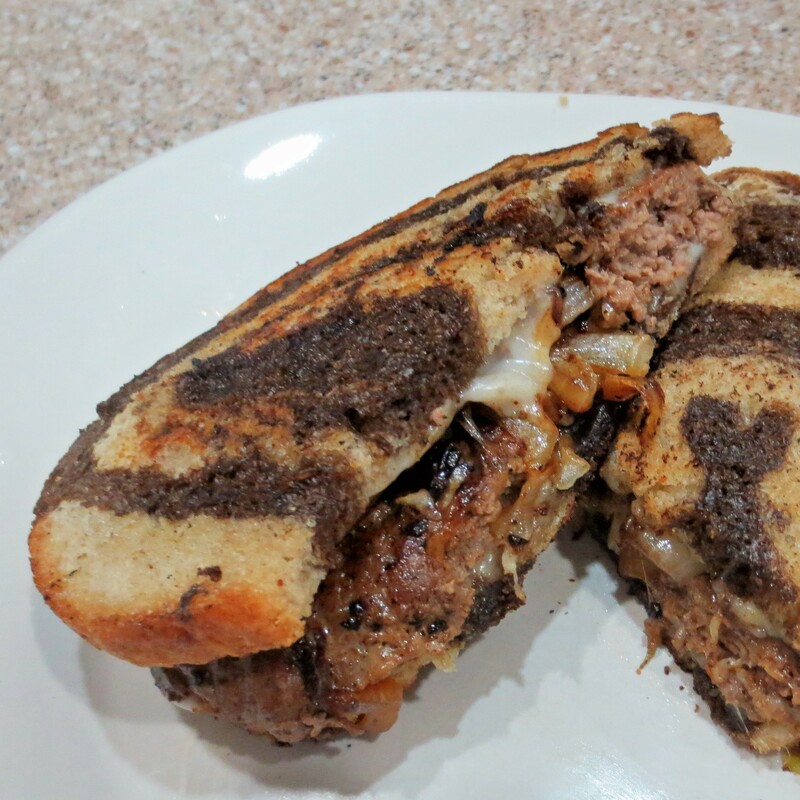 When the weather outside is not good for grilling try Patty Melts as an alternative. 2. Melt the butter and oil together in a large skillet over medium low heat. Add the onions and cook, stirring occasionally until the onions are soft and golden brown. Remove from the skillet and set aside. 4. In a medium bowl, combine all the burger ingredients, mixing well. Divide the meat mixture in half and gently form two oval patties, roughly the same size as the bread, making a depression in the center of each. 5. Cook the patties in the same skillet as used to cook the onions until they reach the desired temperature, turning only once. 7. Butter two slices of bread and place buttered side down on a griddle or skillet. Top each slice of bread with a slice of cheese. 8. Layer on one of the cooked burgers, half of the onions, and the other slice of cheese. Complete the sandwiches with another slice of buttered bread. 9. Grill the sandwiches over medium low heat until they are toasted to a nice golden brown, then flip the sandwiches and continue cooking to brown the other side.